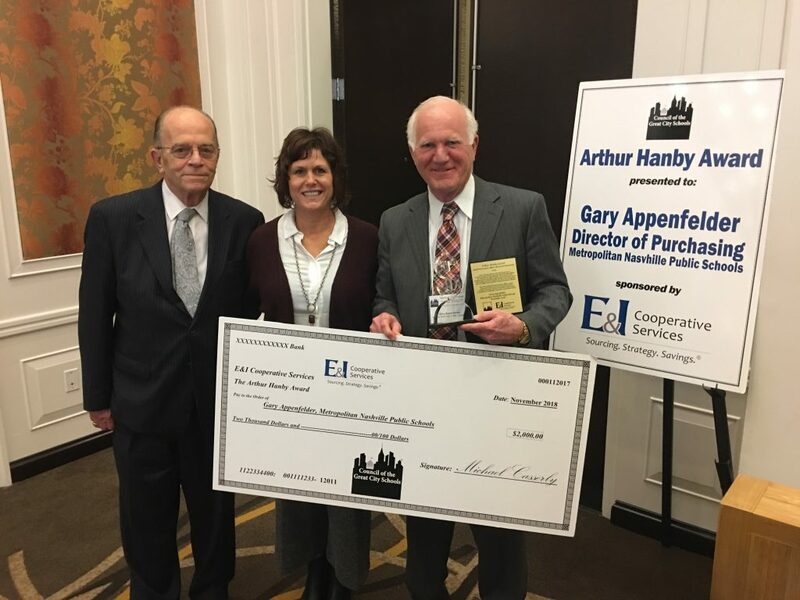 November 15, 2018 – The 2018 Arthur Hanby Chief Procurement Officer Memorial Scholarship has been awarded to Gary Appenfelder, Director of Purchasing at Metro Nashville Public Schools, TN, and Tim Schmandt, Director of Procurement & Supply at Rochester City School District, NY. 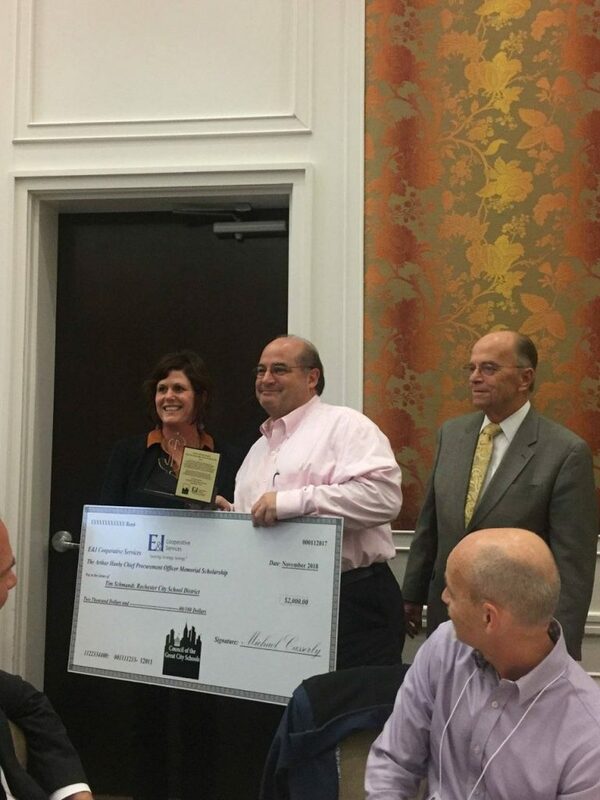 Sponsored by E&I Cooperative Services (E&I) in collaboration with the Council of the Great City Schools (CGCS), this prestigious award honors two senior procurement leaders with a scholarship of $2,000 each, a personalized plaque of recognition, and the opportunity to participate in the Council’s Chief Financial Officer (CFO) Conference. The CGCS CFO Conference brings Chief Procurement Officers (CPOs) and other strategic business leaders together to enhance their professional development and share best practices with Council peers. Scholarship recipients were selected by a distinguished panel of CGCS members. The scholarship honors the values set forth by Arthur (Art) Hanby, who served for more than 32 years as a purchasing agent and strategic sourcing and contracting officer for several urban districts. Art’s career was devoted to providing a safe learning environment and the best possible tools and resources for students.